The phone rings. I check caller ID before determining whether or not I will answer the call. “Is it true Joe has a $100 Lego set?” My neighbor asks. We have boys. 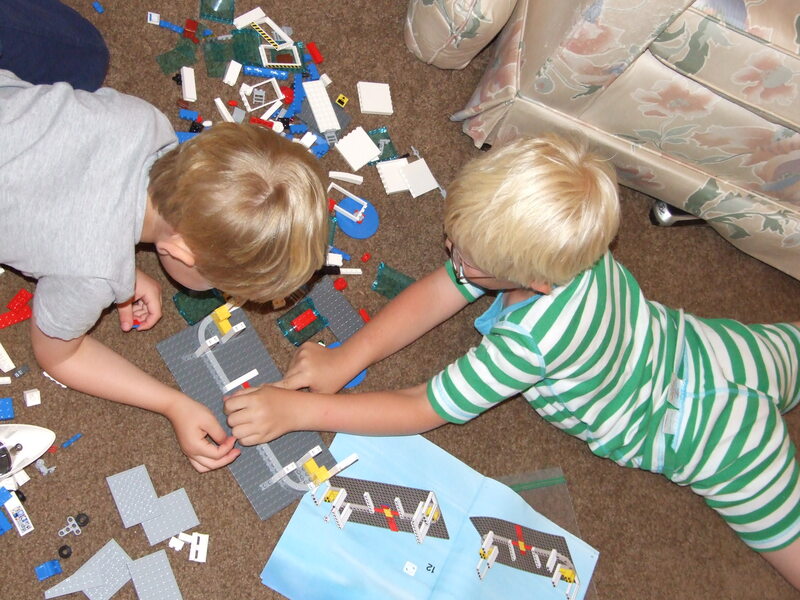 Boys love Legos. I work from home. Boys make noise. Legos quieten boys. Legos are expensive. I will work for Legos. We are in the process of planning a trip to Florida to witness the last Shuttle launch. Originally scheduled for June 28th, the launch has been tentatively scheduled for early July. Nothing like pinning down dates and booking reservations for a tentatively scheduled event. This morning I called my friend in Florida, to give her a heads up of the plans, which are set firmly in sand. While we were talking, she rattled off several things we could do while visiting, including going to a water park. “The boys would really enjoy it, though.” She said. Airport Lego Set: $99.99; Two boys working together at 7:25 AM: Priceless. A Recipe Post. One Time Only! We are huge fans of Legos in this house. I find them everywhere…on the backs of toilets, kitchen counters, even the cup holders in my car. The best invention ever…worth every penny. Right now the boys are keeping the Legos contained in one area at a time. With two large dogs in the house, the boys know the Legos will disappear if left unprotected. HA! That’s it – blame it on me! But yeah, they do keep the kids quiet. *sigh* but think of all the FUN they could have at the water park!!!! :p And….maybe the guys (aka the husbands) can take the kids and WE can hang at the pool (or go to the beach) in total quiet. Betcha didn’t think of that one did ya?! Now, excuse me while I go hunt down some extra money for the water park…. Fun post, Lenore…I’ve stepped on a few Legos in my bare feet over the last 20 years or so…most painful thing ever! Ouch! Yes, stepping on Legos, Lincoln Logs and Little People is hard on the feet. Glad you enjoy the post. As I type, my oldest is in the bedroom diligently putting the airport together — for the 2nd time. My son’s not quite at Lego age yet, but you can bet I’m storing this entry in the back of my mind for when he is! I occasionally have to work from home and it’s a gift when I can find two consecutive moments of silence for my more complex transactions. I’m also reluctant to pay for fleeting pleasures. I do pay the cash equivalent of an arm and a leg for my annual pass to Disneyland, but that’s because Ba.D. remains a little Disney-loving kids at heart, and our little one clearly already shares that love. Having the option of going there any time at all has been a really nice card to carry in our back pockets! Thanks for visiting (and commenting), Deborah. Thanks, Deborah! We will. Don’t go running to your email box any time soon, though. The lego and ice cream addiction runs deep. Great post & as a mom to 2 boys, oh so true. 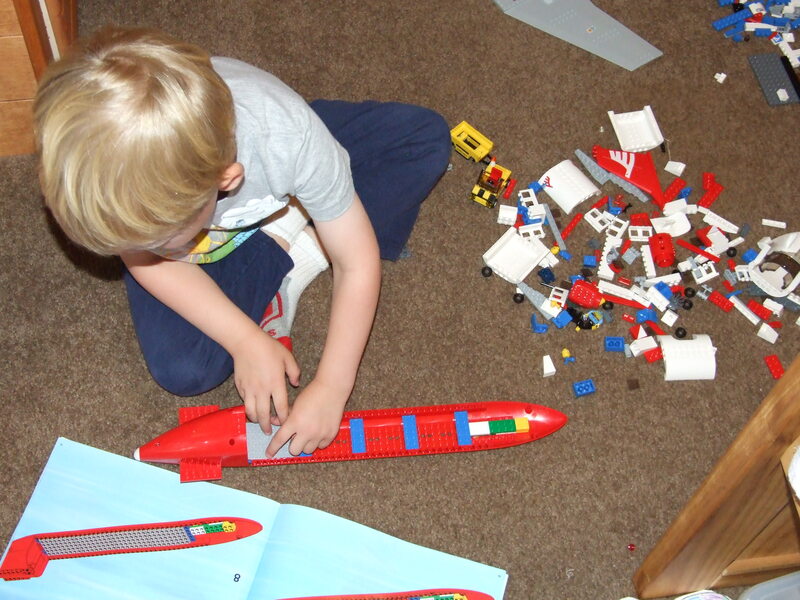 Our’s are 25 and 17 now and of the few classic toys we saved – 2 huge totes of Legos! Legos, the brio train set (w/ Thomas stuff), and all the Star Wars vehicles/planes/etc. Thanks for visiting, glad you enjoyed it. Love this! My 8 yr. old son lives for Legos. Saved his $ and bought a large Star Wars set the other day. Never again will I let him get a huge set on a school day- took us 3 hrs. to put it together.